Did you attend Goodwood Revival 2018? If you did, I think you’ll agree that it was a stellar twenty year anniversary event. 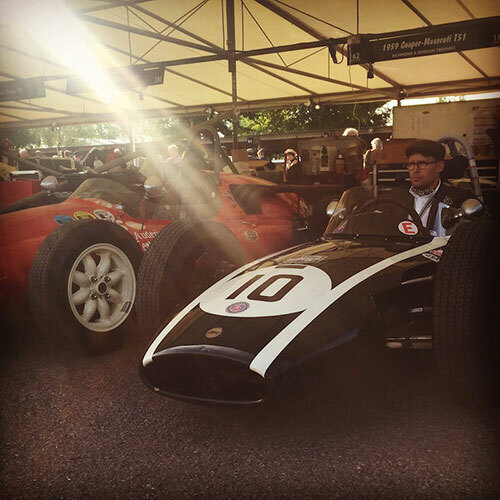 I first attended Goodwood Revival long before I began operating South Downs Secure car storage. I first went in 1999 when my father took me as a birthday present. At that time, I remember spotting the odd couple dressed in period outfits. The vintage theme was very subtle at that time, but the classic cars on view and the racing were outstanding. The roar from the start line of the RAC TT was incredible. I’ve been lucky enough to head back to the Revival on and off over the years. I have noticed the number of visitors in period dress steadily increase. It’s now tough to spot someone who hasn’t fully immersed themselves in the vintage theme. What makes Goodwood Revival unique? The Revival is a unique event in its own right. It’s both a historic motor racing event and a vintage lifestyle event all neatly rolled into one. The attention to detail is unsurpassed, and all the little extras combine to make a truly unforgettable experience. After last weekend it’s clear to me that those of us who enjoyed the 2018 event owe a lot to the Duke of Richmond and his artistic attention to detail. He and the Goodwood estate continue to produce world-class motoring events. Unlike other circuits, the unique layout at Goodwood enables spectators to get close to track with superb views. Add to this enthralling race action such as the Kinrara Trophy, and you have historic motorsport at its finest. 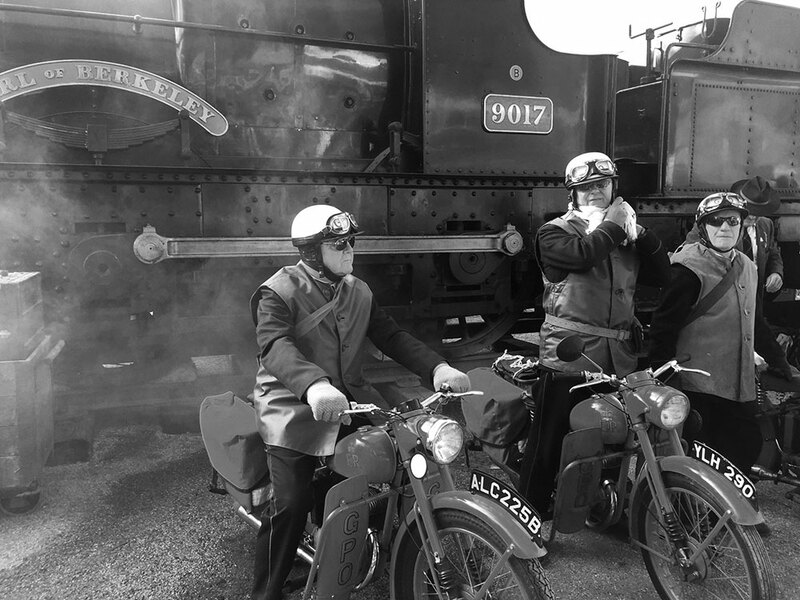 With over 150,000 people all dressed in period style, including staff and volunteers you are transported back in time. It would be churlish not to embrace the vintage theme. This year I went with the classic tweed sports jacket, navy trousers and a white shirt with a vintage tie topped off with a black Stetson Fedora. Highlights at Goodwood Revival 2018. The highlight this year would have to be the Kinrara Trophy billed as perhaps the most expensive race ever held. The race saw a line up of thirty pre-1963 GT cars with a combined value of nearly £200 million. This didn’t slow down the pace though, and the 60-minute two-driver race kicked off the on-track action on Friday evening. We witnessed some incredible driving with the victors Emanuele Pirro, and Niklas Halusa made to work hard for their win. The drama continued with the battle for third place with an intense closing 40 seconds from Rob Huff pushing Nigel Greensall wide to secure the position, despite his bonnet popping up twice and wholly obscuring his view. Classic cars on the track and at the auction. The standout car on the track for me would be the Jaguar XK120 LT2 competing in the Fordwater Trophy. This rare lightweight version of the road-going XK120 was constructed purely for racing with a one-piece magnesium body that was considerably lighter than stock. Built by Jaguar as an insurance policy for the 1951 Le Mans 24 hours the LT1, LT2 and LT3 wound up never competing as the C-Type was completed on time. This rich history is part of what makes this car so appealing. My choice for the standout car at the Bonhams car sale this year would go to the 1963 Lotus Cortina MK1 Competition Saloon. This ex-team Lotus car driven by the likes of Jim Clark, Trevor Taylor, and Dan Gurney has been a regular competitor at the Revival. It has a rich heritage and was one of the two cars that made the Lotus Cortina’s racing debut. The overall condition of the car is outstanding, and with such historical significance, this is sure to be one to watch. Classic and vintage dress – Stand out costumes. Wandering through the paddock amidst a sea of tweed I spotted a young gentleman wearing a grubby vintage racing suit with traditional leather boots. He had a raggedy pair of classic driving goggles resting on the top of his head. His face had been made to look like he had just finished an open top endurance race. All soot and dust with only the pale outline of the goggles around his eyes. Top marks for entering into the spirt of the event. Didn’t make it this year? How to get the most out of Goodwood Revival 2019. Firstly, sign up for ticket alerts. Take full advantage of the new GRRC mobile app, which gives you a whole host of features, updates and full race details it even allows you to make a plan for the day. Technology aside, I always suggest people arrive early to make the most of the day. If you are attending with racing in mind, then Saturday and Sunday are a must. However, if you want more time to experience the lifestyle aspects of the event, then Friday would be the best day. There’s no shortage of things to see and do, but with something new tucked around every corner make the most of the maps, so you don’t miss anything. A few times in the past I’ve had friends mention features which I completely missed on the day. How South Downs Secure car storage (for classic cars and supercars) can help you enjoy Goodwood more. At South Downs Secure car storage our proximity to Goodwood means you are never too far from the action. Just like Goodwood, we pride ourselves on being the best. The quality of our car storage unit on the Hampshire, West Sussex and Surrey borders is unrivalled. We ensure that all our clients experience a professional concierge service with a personal quality. South Downs Secure is the perfect car storage unit for vintage and classic cars; our climate controlled highly secure environment will keep your investments in perfect condition. Contact us, to find out more HERE.